Sustainable Little Tokyo is a community-driven initiative working to ensure a healthy, equitable, and culturally rich Little Tokyo for generations to come. What began as a robust community outreach and engagement effort in 2013 has turned into a neighborhood-generated framework dedicated to environmental, economic, and cultural sustainability. Sustainable Little Tokyo is committed to bringing this community-wide vision to life, while continuing to honor the neighborhood’s deep history as a center for Japanese-American communities and culture. Sustainable Little Tokyo is an inclusive group of people who love Little Tokyo and are imagining a future for our historic Japantown. Become a part of the movement! Through our community-driven work, Little Tokyo is now one of the first fourteen California Cultural Districts, and one of two in the City of Los Angeles! Cultural Districts highlight the cultural legacy of our state's most valuable resource—its diversity! 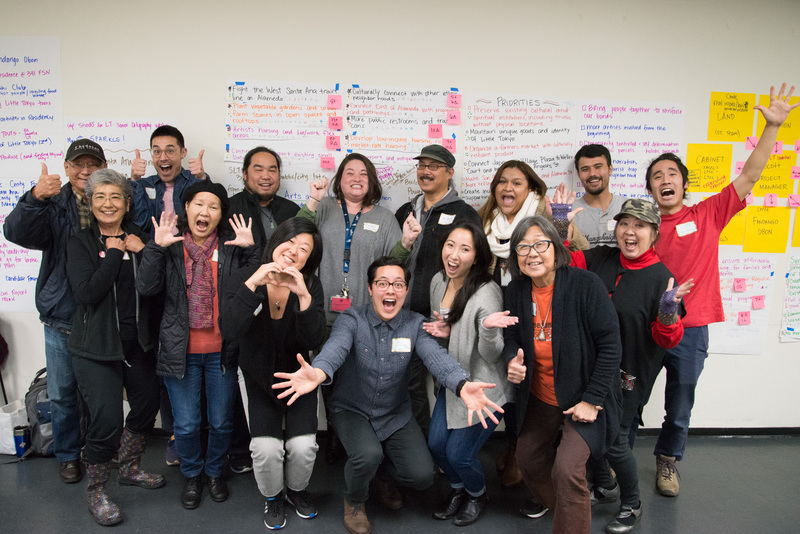 Retain and Strengthen Communities through programs that create cultural connections to Little Tokyo’s new populations while creating affordable opportunities that enable long-time neighborhood stakeholders to thrive. Create Economic Inclusion by sustaining a robust local economy of strong independent businesses. Respect Japanese American Cultural Heritage and History by preserving past traditions and supporting local artists. Support Green Development and Practices through the planning of new environmentally efficient developments and infrastructure, while retrofitting . Mottainai is a familiar Japanese phrase expressing "What a Waste!" This all-encompassing concept can be interpreted as the 3 Rs—Reduce, Reuse, and Recycle—with a fourth R, Respect: Respect for the Earth, your community, yourself, and others. Sign up for updates on meetings, projects, events, exhibitions, and more!